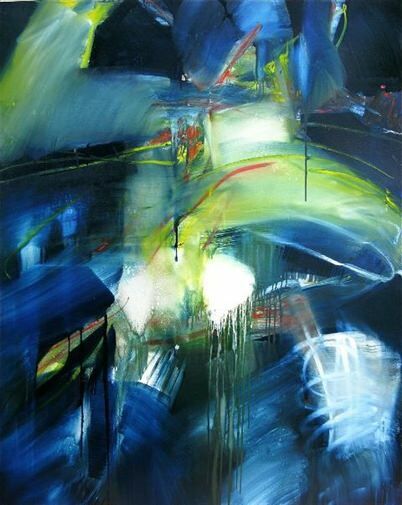 My love of abstract art is no secret - I've discussed it on this blog before. 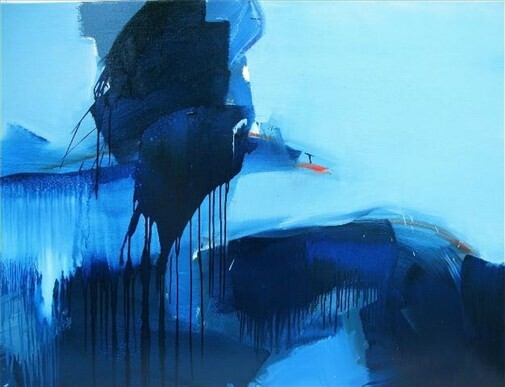 Today I want to share some work I like by the French abstract artist Gérard Stricher. Gérard Stricher, born 1948 in Sarrebourg France, grew up in a family of artists. From a young age he wanted to be a painter and practised extensively. Without formal artistic education, Stricher was largely self-taught, picking up new techniques and ideas from other painters that he met or whose pieces he viewed. He travelled extensively, gathering knowledge, experience, and ideas to augment his creative output. He acquired an old mill in the French Vexin and coverted it into his studio. In 2007, his exhibition at the Espace Commines in Paris introduced Stricher to collectors and galleries. Since then, his work has been displayed in numerous art galleries and private collections. Stricher has quite a versatile style. You can see just from the images in this post the varying degrees of abstraction he employs. In some paintings, especially his abstracted landscapes (e.g. La Montagne Sacrée / The Holy Mountain) it's easy to make out the subject. In others, such as Les signes sont souvent trompeurs (below), this is much less clear. His mastery of the basic elements of art is very clear. More of Stricher's work can be seen on his website (but don't bother with Google Translate or you'll end up reading about his "penchant for prestige high pasta") or his portfolio. Painting begins with an idea.